Having contact with so many computer users, I'm frequently asked "why does my computer or laptop get slower and slower. I usually cut straight to the short answer, which is a regular defrag. Ha, whats a defrag? Sounds like a word the Terminator would use. Just like we regularly house-keep our living space, so we need to do the same with our Windows computers. 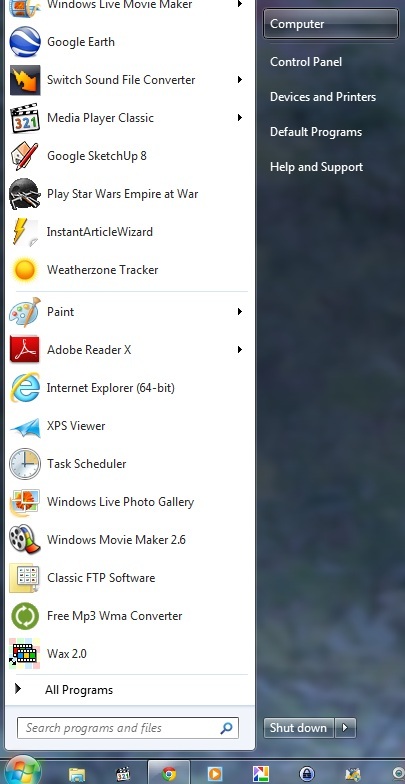 I going to assume your using Windows 7, that being so do the following weekly. Yes, weekly. 2. 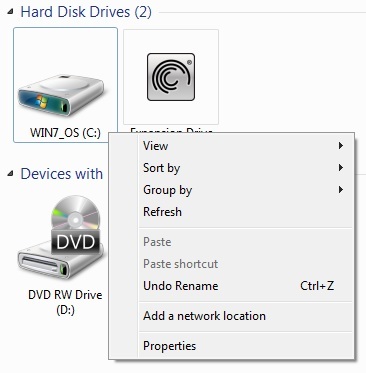 Right mouse click on C: drive, and click Properties. 5. 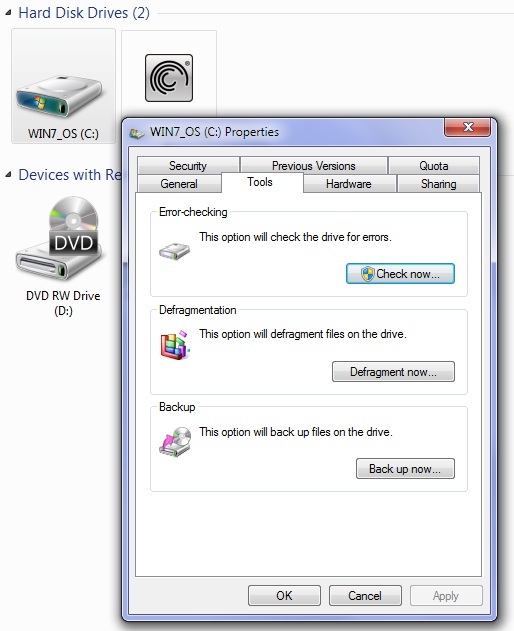 Click on Defragment disk. And that's pretty much it. If you haven't run a Defrag before, this first time may take several hours to grind its way through and re organise everything. One small tip: I often defrag just as I'm heading to bed. 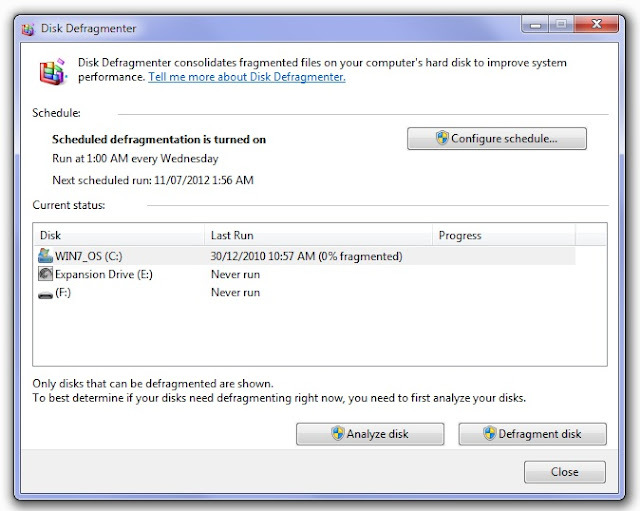 Defrag will temporarily take away resources from your computer, and whilst your can continue to work on your computer whilst the defrag is going on, you will find it will be slower again as the defrag takes place. how funny Nigel - as I proceeded to follow these instructions, I noticed that my scheduled defrag time is set weekly for 1.00a.m. My computer is never turned ON at that time so I have changed it to 1.00p.m. instead!! !